Today’s home studios have access to just about any plugin and mixing tool needed to get professional sounding vocals, even when recorded in less than ideal environments. For most producers and engineers, vintage microphones processed through a rack of dusty analog hardware are no longer needed to get the desired tone and quality for vocals. Still, experienced engineers find themselves looking to add a tube preamp and/or channel strip to the front end of their recording chain. Personally, my own 2 simple reasons I opted for this are character and convenience. Even with the pristine recording most audio interfaces deliver, many find the built-in preamps a bit “sterile” and lacking warmth. While they’ve come a long way, one of the few effects that plugins haven’t quite nailed yet is tube preamplifier emulation. The warmth a tube preamp provides on the front end of your vocal recordings can be something you find yourself falling short of when using strictly digital processing and plugins. As for convenience, any engineer knows the trials of working to clean up a vocal after the recording stage. I can count numerous times I’ve spent hours trying to tame sibilance and harshness in a vocal session. To make matters worse, it’s all too common to have to gate hard drive noise from vocals recorded next to a computer and (the worst) try to doctor a section of a vocal performance that suffers from preamp distortion. The Aphex Channel promises to smooth out these issues with it’s RPA Tube Preamp and a wealth of other proprietary technologies the company has been known for since the 1970’s. 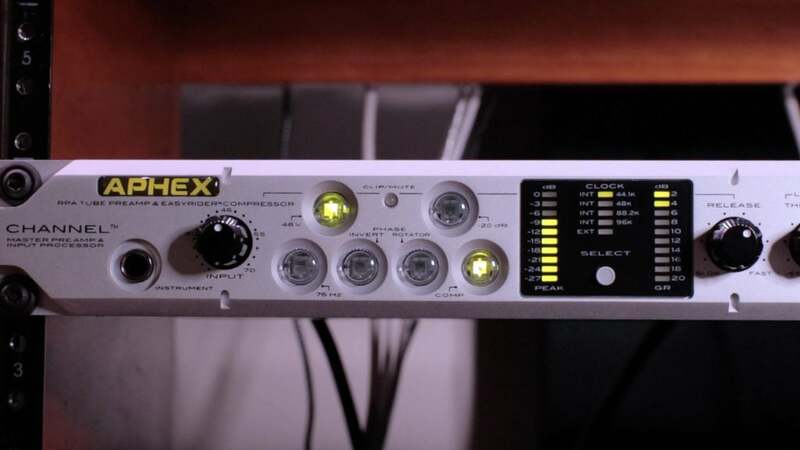 The Aphex Channel includes components I found lacking in other channel strips, most notably a useful De-Esser, Logic-Assisted Gate and AES digital connections. Paired with the Easy Rider Compressor, the famous Aural Exciter and Big Bottom sections, you have a unique, surprisingly affordable channel strip that lends itself perfectly for vocal recording. While the Easy Rider Compressor lacks a dedicated attack or threshold control, I found the intelligent “auto” setting (which adjusts itself according to the signal, release setting and preamp gain control) to be quite smooth. 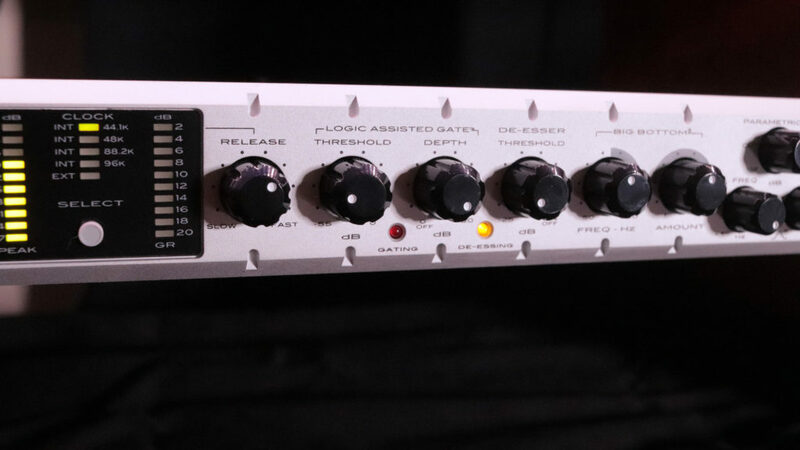 It’s a compression that’s best suited for light use while tracking and is a great way to smooth out a dynamic vocal performance and avoid clipping and distortion. The Big Bottom component is an excellent way to add fatness to thin vocal types and harsh sounding microphones. The Aural Exciter rounds out the tone shaping sections with the all-important mid range boost for vocals. For the price, I’m left wondering how Aphex managed to fit everything into the channel strip without sacrificing sound and performance. The only minor complaints I’ve had mainly deal with the Parametric EQ section; only reaching ~ 5kHz, the high end boost isn’t quite as “airy and sparkly” for my taste. Thankfully, adding some high end in the box (I prefer the DSP on my RME UFX) is quick and painless. Overall, out of the many channel strips tested, I didn’t find anything that came close to the Aphex Channel in terms of the sound, wealth of features and affordability. It’s a welcome addition to the project studio that has already saved me valuable time in the mixing process, thanks to it’s versatile tone shaping abilities. If you’re looking for an affordable analog front-end to bring new life to your vocal recordings, go for the Aphex Channel. 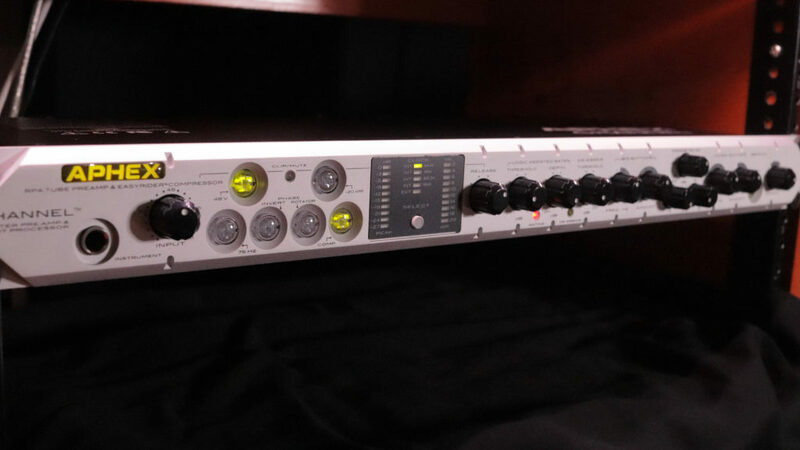 I just bought this aphex channel and I wonder how to hook it up to my uad apollo twin dual usb. 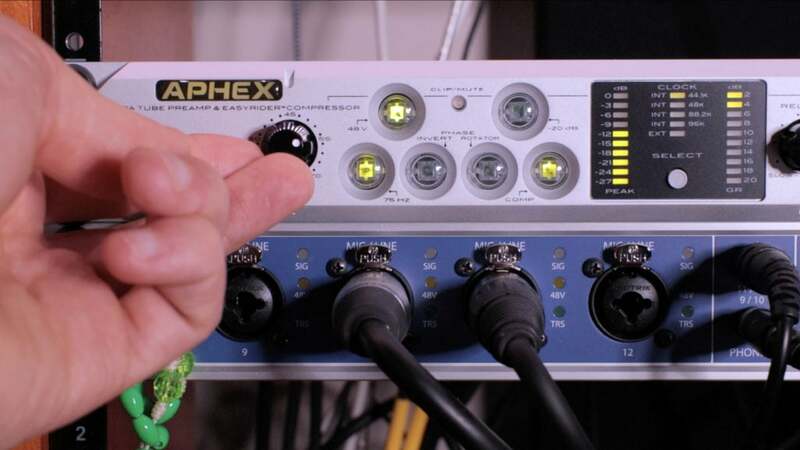 I try to connect the out of the aphex using the xlr cable into my audio interface mic input. I able to hear the sound and record it, but sometimes the compressor and the gate just not work well. I wonder if you can help me find the best way to connect these two equipments and the best setting for it. Hi Jeeker, you would want to use the preamp on the aphex channel (adjusting the preamp level + release time for more or less compression). Then adjust the output level and route the line output or optical output to the LINE IN of the Apollo, bypassing the Apollo preamp altogether if possible.